One bedroom, One bath Condo on the Chattahoochee river. Walking distance to everything. 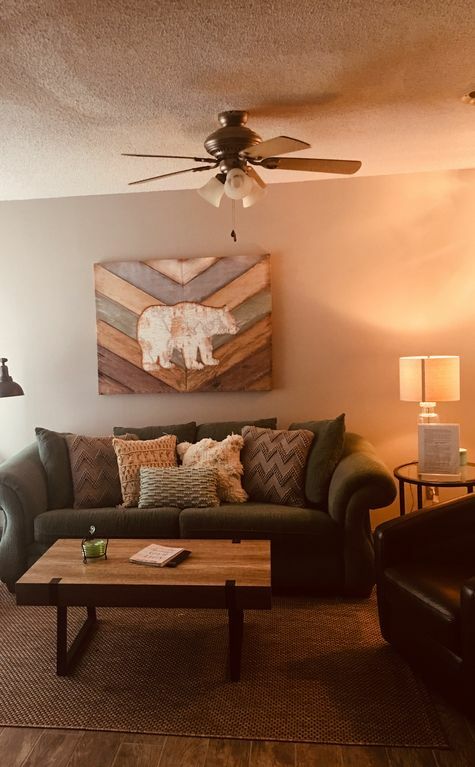 This cute upgraded condo has everything you need for your comfort and enjoyment. This Condo has WIFI, cable, queen sofa bed, queen bed with plenty of room for comfort.. We have a electric fireplace. swings and grill on site, play park next to the condo. During the summer you will enjoy the tubers and fishing in the river. The fest hall is a couple of blocks away, walking distance for Oktoberfest. This Condo is perfect for those wanting to stay close to all the stores and restaurants and more!